The president of the Global Alliance may elect to honor individuals who have demonstrated exemplary contributions to behavioral health and social justice. 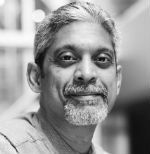 Vikram Patel received a Presidential Citation for Lifetime Achievement for his innovative efforts in bringing mental health care to low-resource communities. In elevating our understanding of the burden of mental disorders globally and their association with poverty and social disadvantage, Dr. Patel has demonstrated how community resources can be used effectively to deliver mental health prevention and treatment services, thereby making mental health care more accessible to all. His work focuses on reducing the treatment gap for mental disorders in low resource countries through the generation of policy relevant evidence on the burden and impact of mental disorders, the development and evaluation of interventions that can be delivered by lay health workers, the development of training programs to expand research and leadership in the area, and the communication of research on global mental health. Dr. Patel is a professor of global health and social medicine at Harvard Medical School and the co-found of Sangath, an NGO focused on mental health and family well-being in India. Additionally, he co-directs the Centre for Global Mental Health in London and was instrumental in the setup of the Movement for Global Mental Health, a network asserting mental health care as a basic human right. Learn more about Dr. Patel's approach by watching his Ted Talk. Donald Wertlieb received a Presidential Citation for Lifetime Achievement for his contributions in understanding the complex processes by which children and families cope with adversity (e.g., marital disruption, chronic illness). Dr. Wertlieb has applied these understandings to the development of programs that foster resilience in community settings locally, nationally, and internationally. He has led partnership projects in Haifa, Israel (Mercaz Gil Center for Learning) and in Dnepropetrovsk, Ukraine (Educational Resource Center for Children with Disabilities). Wertlieb is an applied developmental scientist with a background in clinical-developmental and pediatric psychology. He is Professor and former Chair of the Eliot-Pearson Department of Child Development at Tufts University, and the founding director of the Tufts University Center for Children and the Center for Applied Child Development. He is a former president of the Global Alliance for Behavioral Health and Social Justice (formerly the American Orthopsychiatric Association). He served on the steering group of the National Forum on the Future of Children and Families, a joint program of the National Academy of Science's Commission on Behavioral and Social Sciences and Education (CBASSE) and the Institute of Medicine (IOM). Wertlieb also served as President of the Society of Pediatric Psychology, a professional membership organization of about 1,000 scholars and practitioners committed to the improvement of health services for children and families. 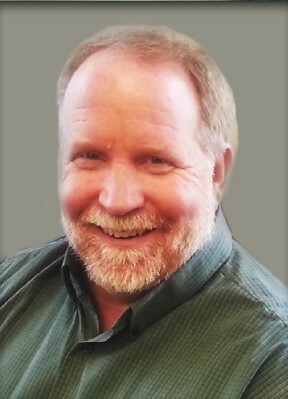 In 2007, he received the Career Contribution Award for outstanding contributions to the advancement of psychology as a science and a profession from the Massachusetts Psychological Association as well as the APA Lee Salk Distinguished Service Award for outstanding contributions to pediatric psychology. He is the 2009 recipient of the Nicholas Hobbs Award for Child Advocacy from the American Psychological Association. David Anderson received a Presidential Citation for Lifetime Achievement for his many innovative efforts on behalf of families in crisis. Anderson is a licensed clinical psychologist with more than 20 years experience in adolescent psychology. As executive director of the Lydia Home Association, a Christian multi-service agency serving children and families, Anderson has thoughtfully and creatively developed a variety of programs designed to strengthen families so that they can care for their children. As the founder of Safe Families for Children, Anderson has developed an innovative approach to helping parents in crisis. Safe Families is a voluntary, non-coercive alternative to the child welfare system. The program temporarily places children with loving families, which enables their parents to address issues such as unemployment, drug or alcohol-rehabilitation, family violence, illness, or incarceration. Safe Families gives parents the opportunity to address issues proactively without a fear of losing the custody of their children. Unlike crisis programs or shelters, temporary stays in Safe Families are not limited by an arbitrary time frame. Rather, host families care for children as long as it takes a parent to get back on his or her feet. Host families also serve as mentors and role models for biological families. These family-to-family connections form a true community safety net in a way that government cannot. Safe Families connects a child and his or her family to a broader community in a way that foster long-term relationships.